Valentine’s Day is the number one holiday around these parts! We are seriously all about some L-O-V-E, LOVE! 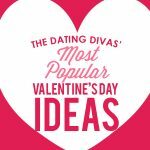 Between all the Divas we’ve had our fair share of Valentine’s Days and we thought it’d be fun to gather our collective knowledge on the holiday and share our secrets with YOU! 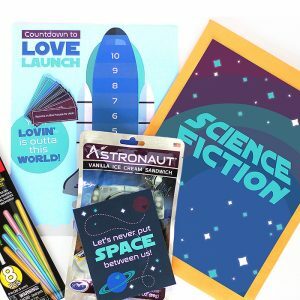 Since we know giving fabulous gifts to show all this love isn’t everyone’s specialty, we’ve asked around, searched around and bookmarked some of our absolute favorite creative Valentine’s Day gift ideas for him, her and the kids! 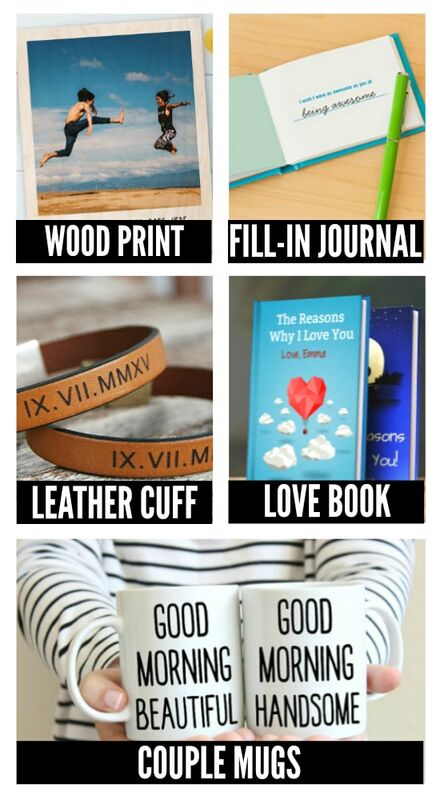 Now we’ve got them all in the same place so you can find exactly what you’re looking for and surprise the most important person in your life with a gift that shows just how caring and thoughtful you really are. 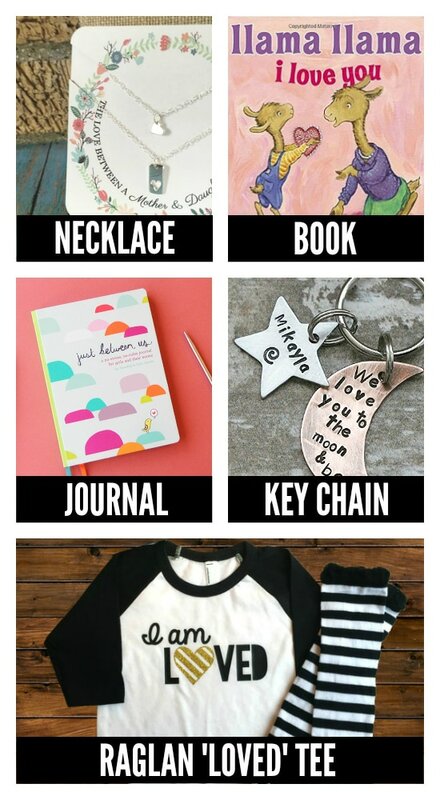 No matter what kind of guy or gal you’re shopping for, the best gift idea is just a scroll and then click away! Yep, you’re totally welcome. 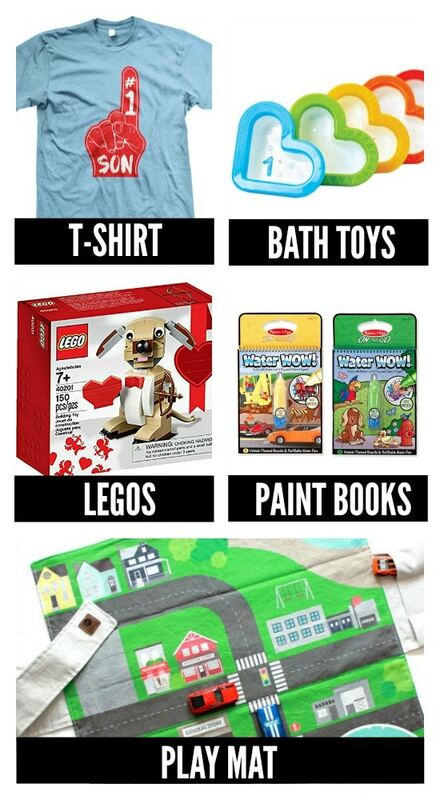 We’ve got gift ideas for GUYS, GALS and KIDS but some of these great ideas could be interchangeable, so don’t forget to scroll through all these fantastic gifts—plus, if when you see something you’re dying to have you can start hinting to your sweetie! Wanna know everything that we’ve thought of? See? You’re bound to find that perfect Valentine’s Day gift without lifting a finger… okay, maybe just one finger. But, it’s still going to be so easy and so much fun! 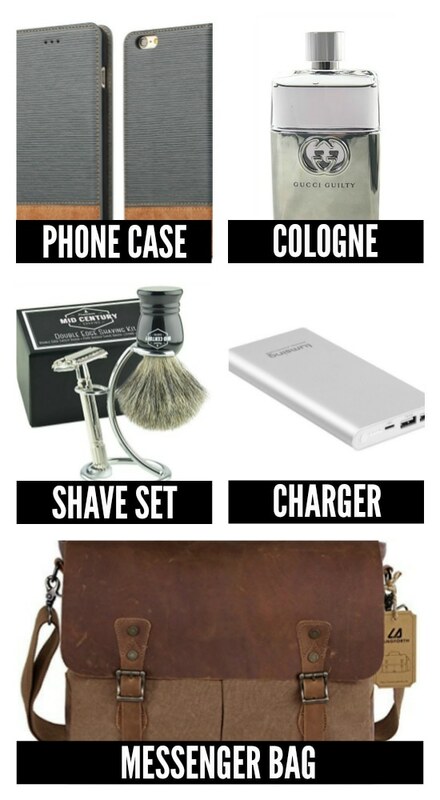 Creative gifts for the guy that’s always busy and on the go. He always wants to be doing something! 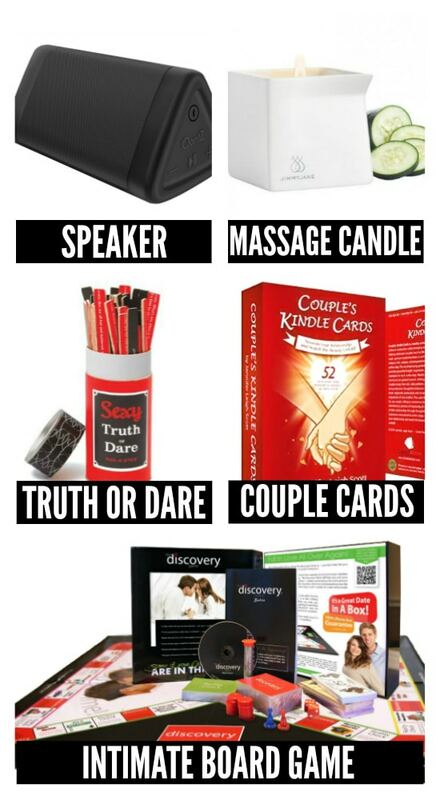 These gift ideas are the perfect way to have fun together for Valentine’s Day! 1. Bocce Ball – A simple game to play together that doesn’t require tons of set-up or complicated instructions! 2. Yard Dice – Turn a game of Yahtzee into more active fun with outdoor dice. 3. 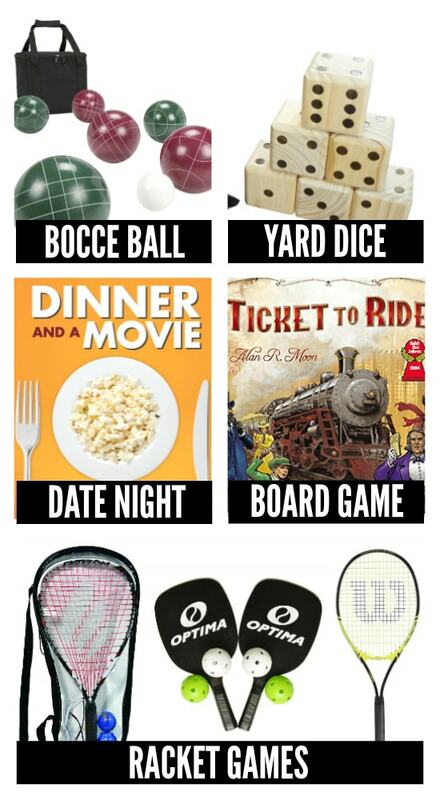 Date Night – Give him the classic date night – dinner and a movie – and let him pick the movie! 4. Board Game – Lots of guys like to keep their minds active too, so they’d love a strategic board game to play together like Ticket to Ride. 5. Racket Games – Two-person games like pickle ball, racket ball, and tennis are perfect gift ideas that will keep you both moving! 6. Fitness Tracker – Any active guy NEEDS a fitness tracker that has it all, check out this Fit Bit Blaze to get your fitness on! If you’ve both got a fitbit, you can motivate each other to keep your goals and even have a little friendly competition every day – communication and healthy lifestyles for the win! 7. Ear Buds – Just grab two pairs of these ear buds and this bluetooth transmitter and you can listen to the same music while you run, play or workout! 8. Sport Camera – Make sure you never forget an adventure together. He can record every fabulous moment, no matter how active you two are! 9. 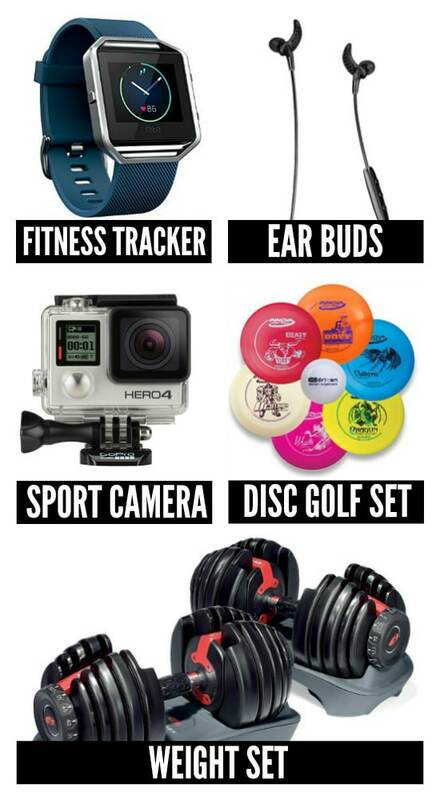 Disc Golf Set – If golf isn’t his (or your) idea of a good time, frisbee golf might be the way to go. It’s a gift he’s sure to appreciate and it makes a great date! 10. Weight Set – For the couple that likes to train together but has trouble sharing equipment, this is the perfect set. It’s so easy to switch weights after different users! Favorite tools and snacks that will make his taste buds water. 11. Grill Set – If he loves to fire up the grill, then he’ll be thrilled with such classy tools. 12. Cookie Mug – One part weird and one part practical, this mug is perfect for the cookies and milk lover. You’ll get bonus points if you bake some homemade cookies to go in it, too! 13. Menu Dice – Choosing what’s on the menu for dinner is one of the hardest parts, so these dice take out the guesswork. These are perfect for eliminating indecision and for encouraging that creative spark in cooking. 14. Custom Spoon – A constant reminder of how you love him, every time he eats cereal for breakfast or soup for lunch. 15. Flavored Salts – Since salt is basically the only essential seasoning, give your favorite chef some fun and flavorful options. You could even include a cute note about how he adds flavor to your life! 16. Popcorn Seasoning – Late night snack or complement to movie night, help him take popcorn to the next level with fun flavors. 17. Apron – Your man will totally rock this apron any day of the week! 18. 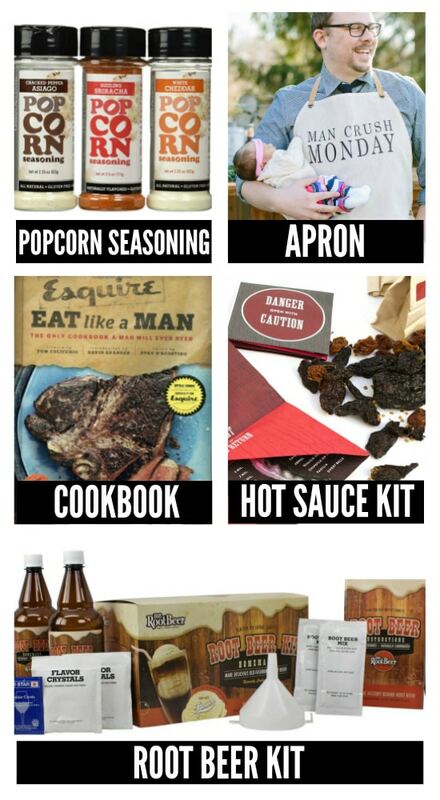 Cookbook – The only cookbook your guy will ever need! 19. Hot Sauce Kit – It’s always fun for a foodie to figure out where his food is coming from and how it’s made. Now he can create his own condiments and feel like a real pro. 20. Root Beer Kit – Give him everything he needs to be a root beer brewer and bottle his own favorite beverage. Gifts for the guy who’s not so into Valentine’s Day but you still want to celebrate your love with. 21. Pocket Cologne – A clever way to travel with cologne, this mini tin will fit in his pocket so that no matter where he goes, he can always smell dreamy. 22. Silicone Ring – Grab him an extra wedding ring that he’ll never want to take off. 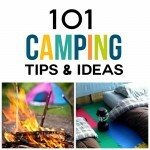 These are perfect for all kinds of outdoor activities! 23. Watch – Jewelry is a classic Valentine’s Day gift and with a cool watch like this one, guys don’t have to be left out of the game. 24. Hoodie – Cuddly and warm when you’re not around to do the snuggling yourself. 25. Funky Socks – Usually the classic “boring” gift, these bright and colorful socks are out to change all that. 26. 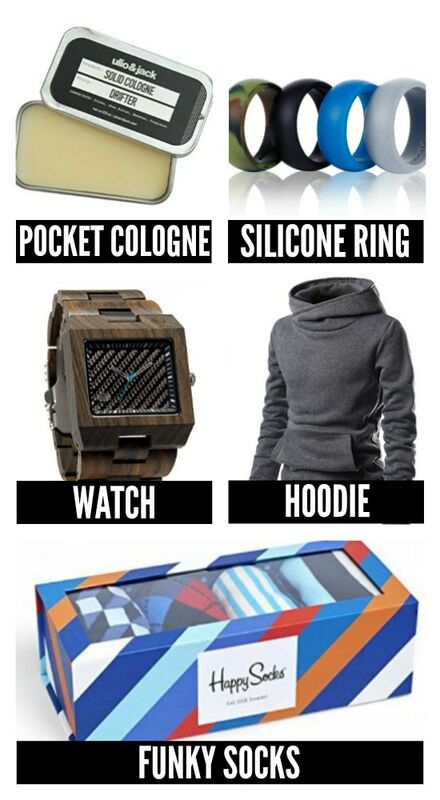 Phone Case – This is perfect for the guy on the go! It’ll protect his phone so you two can always stay in touch! 27. Cologne – We think this just might be the best smelling cologne of all time! 28. Shave Set – The ultimate in retro, ‘Mad Men’-style grooming. He might just jump out of bed in the morning he’ll be so excited to shave! 29. Charger – Portable and practical. This cell phone charger is absolutely the best one! It charges your iPhone like 5 times! He’ll never have to run on low battery again! 30. Messenger Bag – A classy and sturdy bag that’s perfect for travel and everyday use. He’ll be grateful for such a useful gift. Saucy ideas for bedroom fun that he’ll think are perfect! 31. Getaway – Splurge on some time away together, especially for the guy who loves quality time. 32. Mood Lighting – A simple way to set the mood and let your spouse know you’re interested in just him for the night. Make it your ‘special’ light and when he sees it on, he’ll know it’s time! 33. Lingerie – This is one gift you won’t need to wrap, he’d certainly prefer seeing it in action! 34. Subscription Box – Surprise him monthly with intimate date night boxes. 35. Bed Sheet Game – The ultimate bedroom game that can be played over and over… and OVER. You’ll never get tired of playing! 36. Speaker – Perfect for setting the mood with a little romantic music. 38. Truth or Dare – A throwback to the grade school years with a fun and intimate twist! 39. 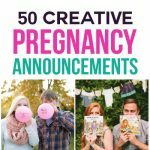 Couple Cards – Filled with great ideas for staying connected! 40. Intimate Board Game – We love board games and this one is no exception. Any guy would love to keep this in his night stand. 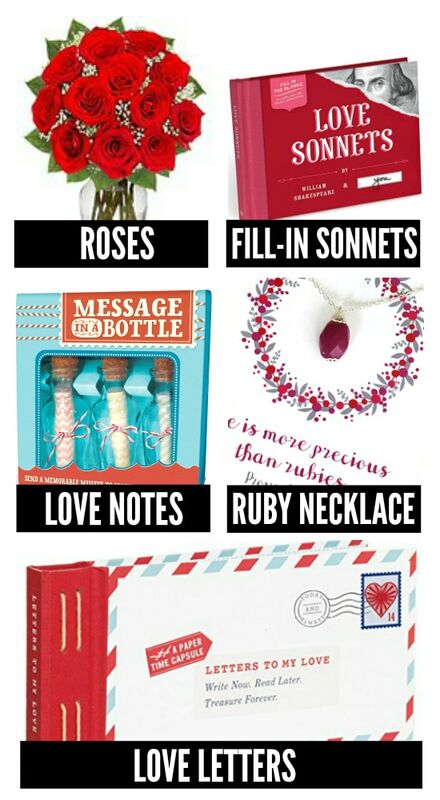 Some of the most thoughtful and meaningful gifts for the one who thinks Valentine’s Day is the most important holiday of the year. 41. 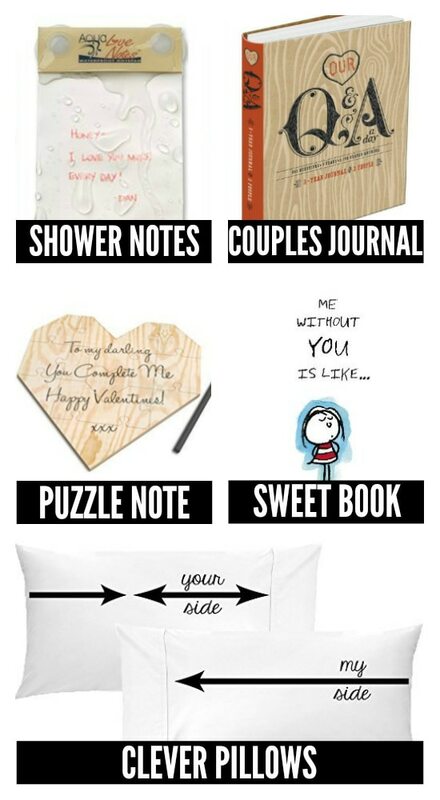 Shower Notes – A gift he can wake up to… leave this aqua pad in the shower with a sweet (or saucy) message! 42. Couples Journal – Answer a question each day together and stay connected. 43. Puzzle Note – How fun would it be to place each puzzle piece in a secret location around the house and let him discover them throughout Valentine’s Day to reveal your special note at the end?! 44. Sweet Book – A cute and sweet book to let him know how much he means to you. 45. Clever Pillows – Perfect for the romantic guy with a sense of humor, these pillows show who takes up the most space in the bedroom! 46. Wood Print – Meaningful photos are the ultimate romantic Valentine’s Day gift. Find a picture that really represents your relationship and have it printed on a customizable piece a wood for a truly manly idea. 47. Fill-In Journal – Complete a book of love prompts to show him you care. 48. Leather Cuff – The most ‘manly’ a bracelet can get, these leather cuffs include roman numerals with your anniversary as a stylish and clever way to display your love. 49. 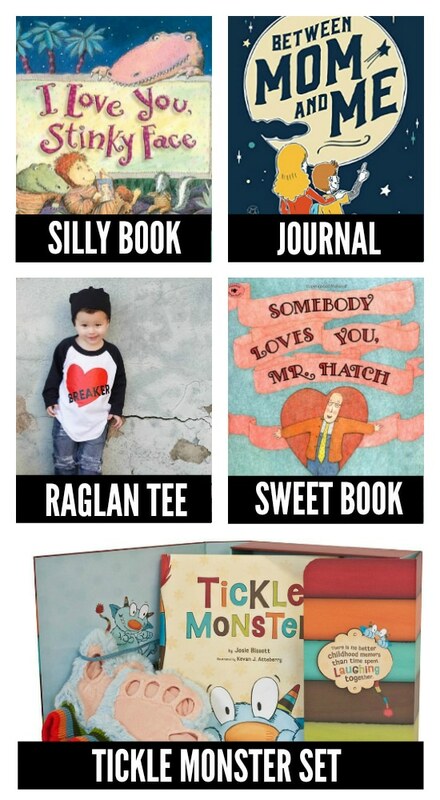 Love Book – We can’t get enough of these personalized books. It’s such a put-together way to list out all the (many) reasons you love him. Who wouldn’t love that kind of gift?! 50. 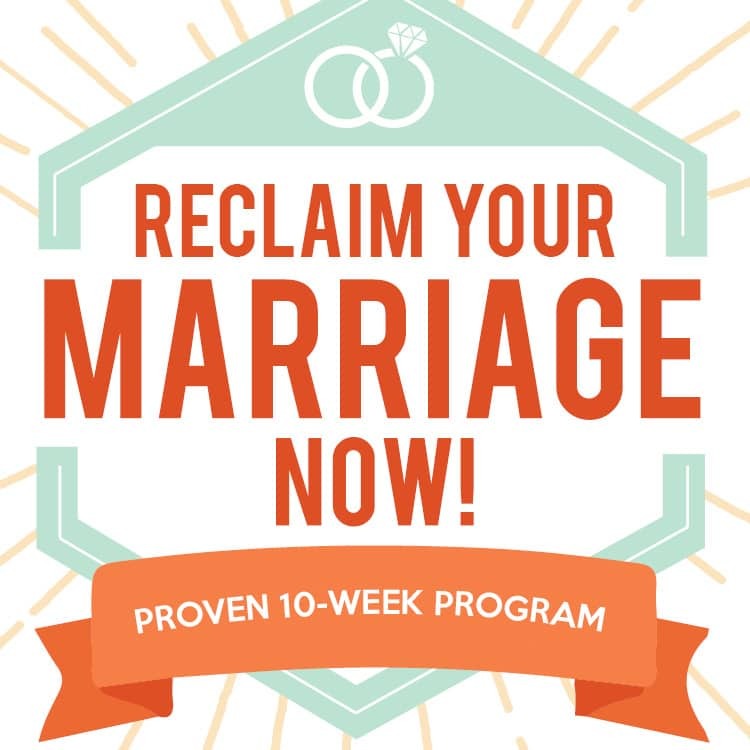 Couple Mugs – Daily reminders about how insanely attractive your spouse is. Love while you sip your morning coffee or tea – perfection! Favorite tools and sweets that will make her taste buds water. 51. 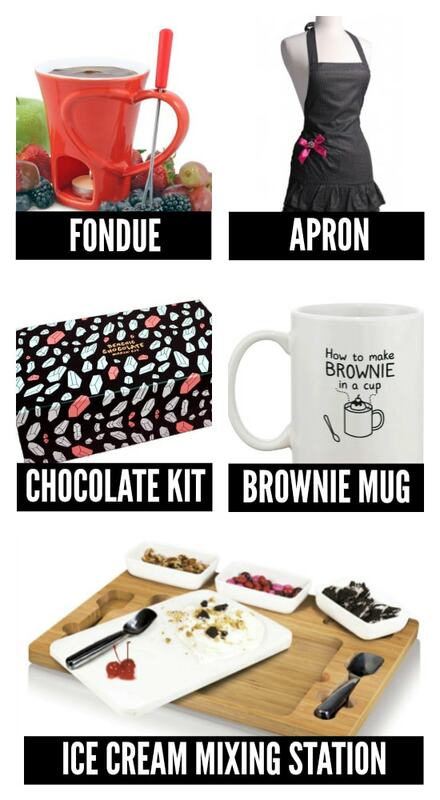 Fondue – Fondue for one (or two)! Dipping things in chocolate for Valentine’s Day is always going to be a winning idea. 52. Apron – If she loves to be in the kitchen, she needs one of the cutest aprons on the block. 53. 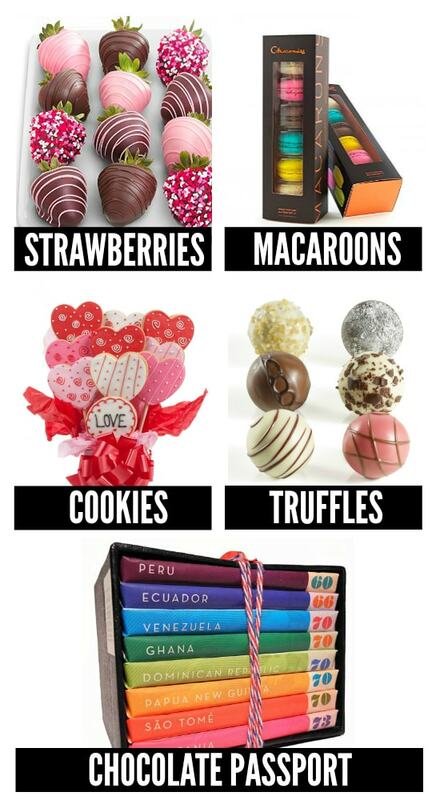 Chocolate Kit – Chocolate is a traditional Valentine’s Day gift, but learning to make your own is the ultimate foodie gift. 54. Brownie Mug – Practically instant brownies for those late-night cravings. Bonus – she doesn’t have to feel guilty for eating every last crumb! 55. Ice Cream Mixing Station – Ice cream is always a hit, but your own personal slab for adding in the BEST mix-ins? She’ll melt. 56. Strawberries – Feed her this gift instead of just wrapping it up and you’ll have her eating out of your hand… literally. 57. Macarons – The fanciest dessert around, they’re so delicate she won’t feel guilty eating the whole box. 58. Cookies – A bouquet of heart-shaped cookies is like two perfect Valentine’s gifts in one. 59. Truffles – So sinfully rich and delicious she probably won’t want to share, but that’s how you’ll know it’s the perfect gift! 60. Chocolate Passport – Let her take a romantic trip around the world with internationally inspired chocolate flavors. Favorite gift ideas for the one who always likes to look her best. Make her feel her most beautiful on Valentine’s Day with new clothing, jewelry, and beauty products. 61. Family Necklace – Help her make it loud and clear how important each member of her family is with this thoughtful piece of jewelry. 62. Handwriting Bracelet – Use your own handwriting to deliver a one-of-a-kind message through a bracelet she’ll never want to take off. 63. Charm Bracelet – The adult version of the classic charm bracelet, plus when you buy jewelry for your stylish lady you don’t have to worry about whether or not it will fit! Yes!! 64. 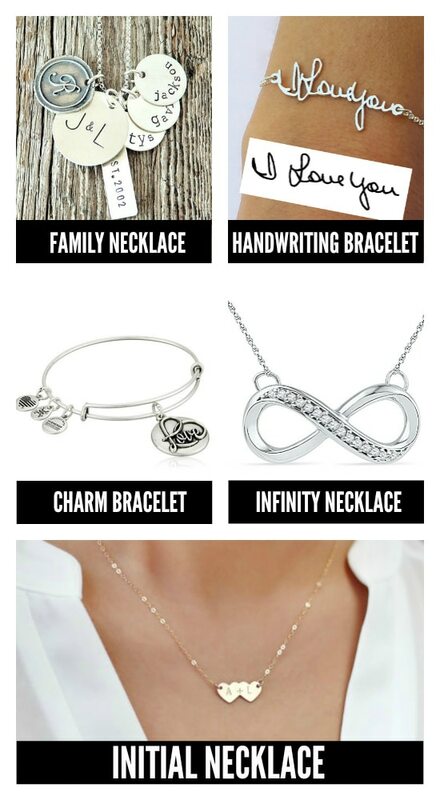 Infinity Necklace – Since your love is forever, this infinity symbol is the perfect representation of your relationship on Valentine’s Day. 65. Initial Necklace – Minimalist and gorgeous, these heart initials are such a sweet way for her to wear your love. 67. Travel Perfume – Such a brilliant idea! 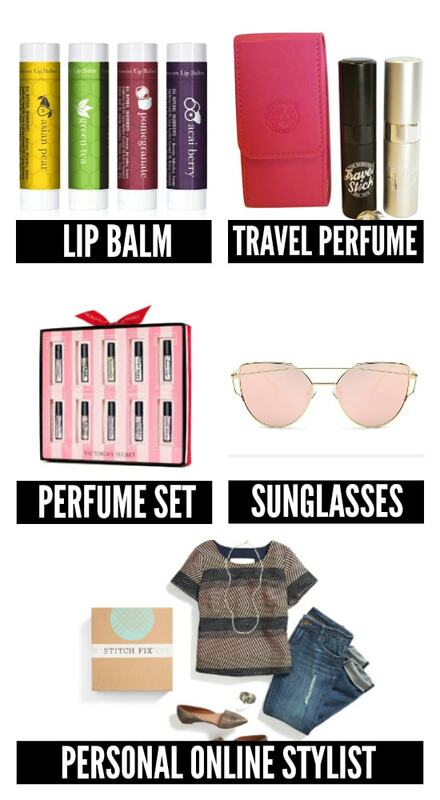 She can add her own favorite fragrance for any getaways you plan. 68. Perfume Set – If she really loves a variety of scents, this gift set will give her the chance to try out lots of options and change her fragrance to fit her mood. 69. Sunglasses – Rose-tinted shades for Valentine’s Day might just be the best non-flower rose you can find! 70. Personal Online Stylist – What fashionista wouldn’t love to feel pampered by her own personal shopper? She’s sure to feel like royalty. 71. Pillow – Whenever she wants to cuddle up, she’ll definitely reach for this promising pillow. 72. Couples Journal – The most romantic way to stay connected and feel loved. 73. Ring Tray – Give her an adorable dish to store her wedding jewelry to keep it safe. 74. Quilt – While a quilt is always cozy for snuggling under, this one might be too pretty to use – she may just want to hang it like wall art. Either way, she’ll love how thoughtful it is. 75. Family Portrait – Choose a wedding photo or a favorite family shot and have a customized, personal watercolor portrait created just for her. 76. Roses – They’re a classic Valentine’s Day gift for a reason. Your romantic love will appreciate the gesture rooted in tradition. 77. Fill-In Sonnets – Make her swoon with Shakespeare-inspired poetry. Don’t worry if you’re not a writer, all you have to do is fill in the blanks! 78. Love Notes – A message in a bottle is filled with intrigue and romance. Try to find creative places for her to find these floating messages! 79. Ruby Necklace – Let her know she’s more precious than rubies with this sweet and sentimental gift. 80. Love Letters – Every great romance story has handwritten, heartfelt love letters. Give her the chance to feel like she’s part of a romantic movie, starring both of you! 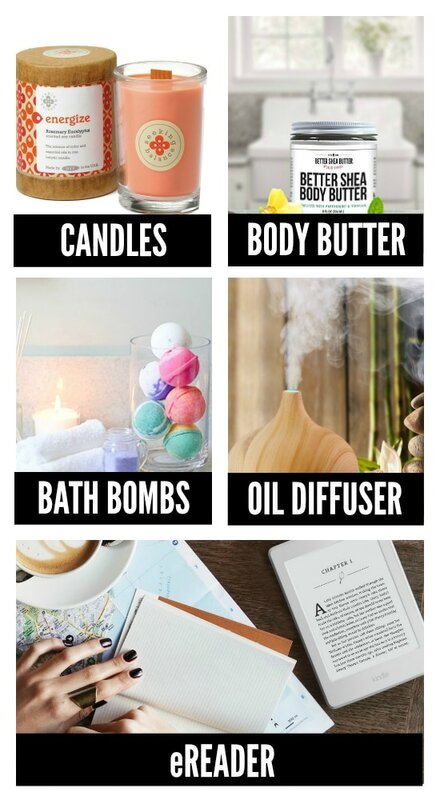 Gift ideas for the lady who needs to take some time for herself and relieve some stress on the day of love. 81. Candles – Calming scented candles will help set a relaxing mood. Grab a few and light them before she comes home on Valentine’s Day and she’ll likely just melt in your arms. 82. Body Butter – The most soothing lotion around will make her feel pampered and relaxed. 83. Bath Bombs – A fizzy, luscious and silky smooth bath is so easy to create with one of these bath bombs. 84. Oil Diffuser – Help her ease tension by choosing an essential oil like lavender and letting the house fill with the calming scent. 86. Slippers – Because her feet will need pampering too, these slippers are the perfect gift idea. You could even fill up the slippers with small goodies and gifts like chocolates, lotion, or jewelry! 87. Silky Robe – Let her slip into a luxurious robe for the night and she’ll feel relaxed and gorgeous! 88. Massager – When you’re not around to do the job, give her our favorite alternative. Her neck and shoulders will certainly thank you. 89. Spa Card – It might be a serious splurge, but a day at the spa is a dream come true for a woman who needs to relax. 90. Soft Blanket – The only downside to this favorite blanket will be that she might not need you for cuddling as much—don’t worry she might not need you to be there, but she’ll definitely want you there! 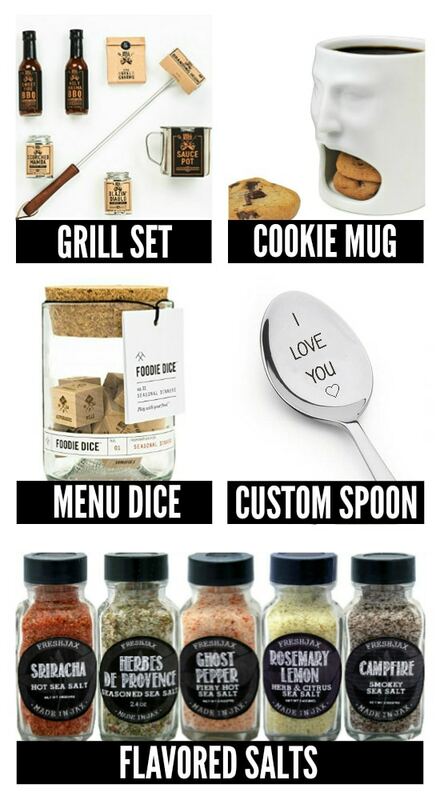 Fun gift ideas for the ladies who like to DIY their way into your heart. 91. Bath Bomb Kit – Give her a gift that lets her create her very own fizz-producing bath bombs. 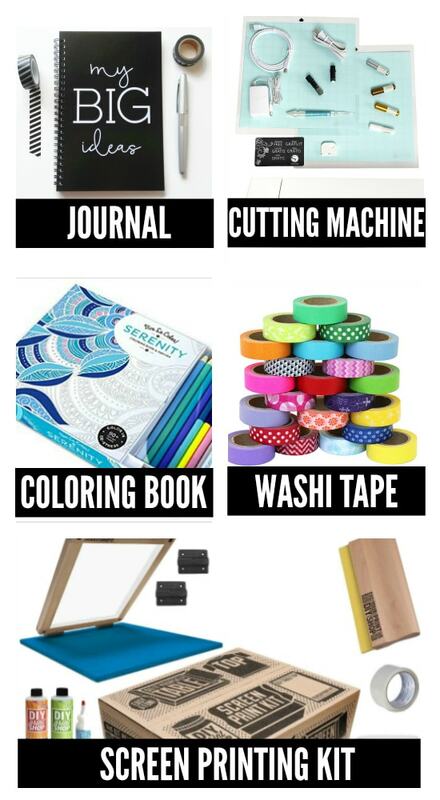 Creative ladies will love making their own and getting to use them for a soak! 92. Knitting Book – Crafty girls everywhere are totally falling in love with this style of knitting which requires no needles at all. Whether she’s a huge fan of knitting already or just wants to try something new, she’ll love learning this trade. 93. 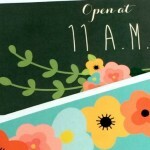 Craft Print – Let her proclaim her love of all things CRAFTING with a fun print she can display in her crafting nook. 94. 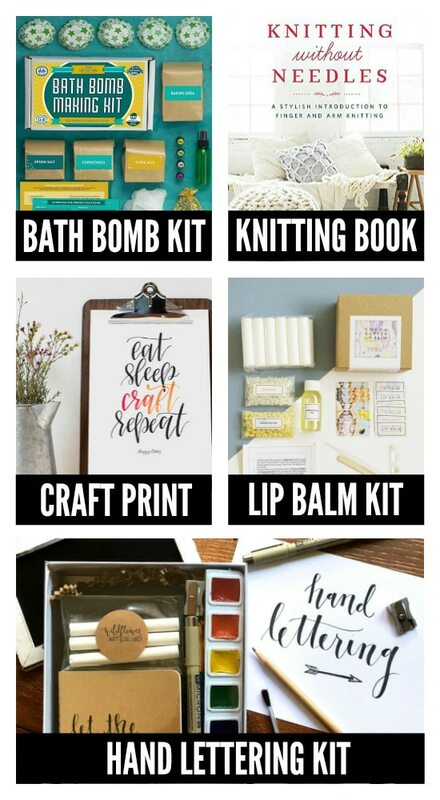 Lip Balm Kit – Crafting isn’t just for fun, it’s also practical, especially with a kit that helps create natural lip balm! 95. 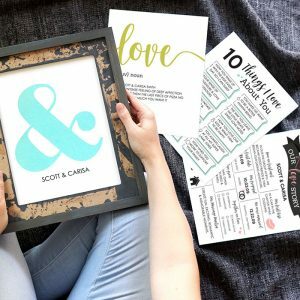 Hand Lettering Kit – Such a useful and versatile skill, she’ll love learning to create gorgeous works of text! 96. Journal – The creative gal is always filled with new ideas, so make sure she’s got a place to jot them all down. Give her a journal to keep track of her next great project idea! 97. 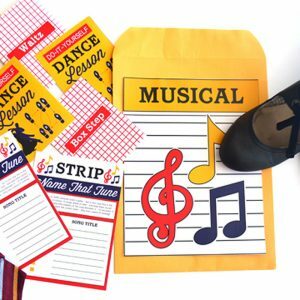 Cutting Machine – The possibilities are seriously endless with a cutting machine – it takes so many crafts to the next level. She’ll love you forever for this one and she’ll love how much time it saves her because it’ll mean more time with YOU! 98. Coloring Book – No longer just for the kiddos, adult coloring books are huge right now. They’re perfect for de-stressing and letting your creative juices flow. 99. Washi Tape – Fun tape with adorable designs instantly transforms any project in mere seconds. 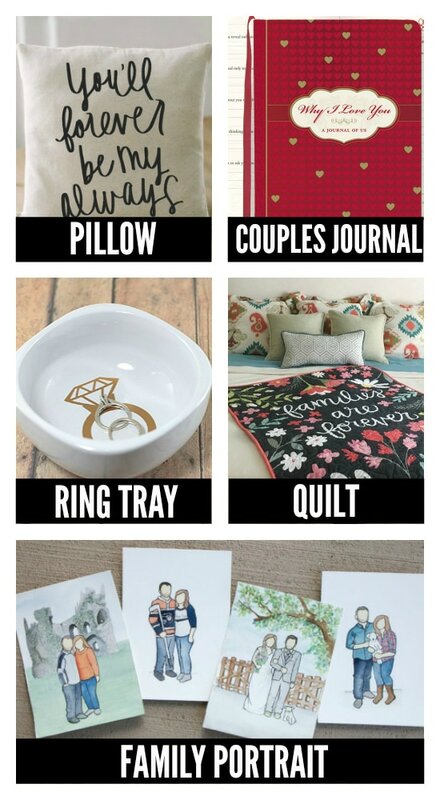 She can dress up a gift or embellish any craft to her heart’s content! 100. Screen Printing Kit – Did someone say custom tees?! Learning how to do screen printing means professional-looking shirts, bags, pillows and more! 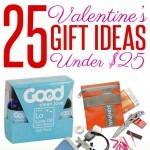 Thoughtful gift ideas that show kids the love on Valentine’s Day! 101. Silly Book – Because boys can’t ever take themselves or love too seriously, this book will have them in fits of laughter in addition to feeling loved. 102. Journal – Start a writing tradition between parent and child to make sure your son knows he’s loved all year round, not just on Valentine’s Day. 103. Raglan Tee – Every handsome boy needs this Heartbreaker tee! 104. Sweet Book – Even if he doesn’t always show you his sweet side, you know it’s there. He’ll still enjoy this book that reminds us how important it is to tell the people we love how much we care about them. 105. Tickle Monster Set – For the goofball in every boy, love him by tickling him (almost) to death. 106. T-Shirt – Give him a nudge of encouragement and love with a shirt that tells him he’s definitely your #1. 107. Heart Bath Toys – Absolutely perfect for the tots in your life, he’ll love you and bath time on Valentine’s Day! 108. LEGOS – Puppy love! Give him what he really wants: a chance to build and play! 109. Paint Books – Lots of our boys are full of energy but that doesn’t mean you can’t let him have his creative time, too. These magic paint books are totally mess-free and perfect for active boys. 110. Play Mat – Fold it up and he can take this road play mat anywhere. A gift he can play with anywhere?! Now that’s a gift from the heart! Sweet and lovely gift ideas for little ones to help celebrate the day of love and show them you care! 111. Dolls – An adorable, handmade doll for her to squeeze and love on, is the best addition to her collection! 112. Mystery Gift – A surprise gift is so much fun! 113. Baby Teether – The littlest loves in your life won’t want to let go of their new love teether! 114. 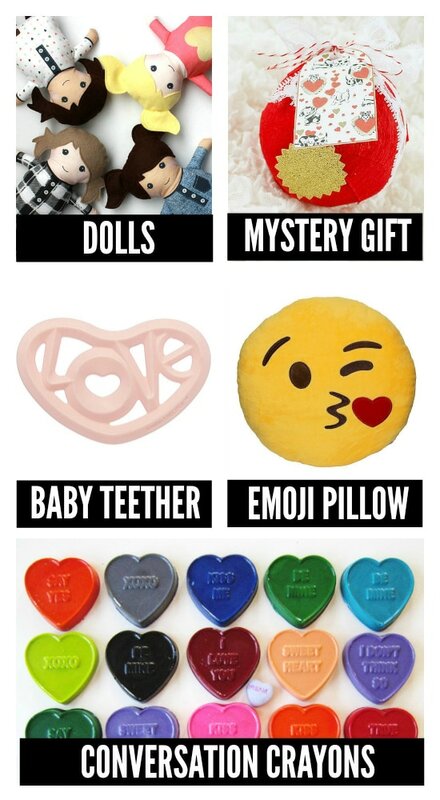 Emoji Pillow – One of those rare gifts that’s great for so many different age groups! Teens who love to text will still get a kick out of this gift and they might even secretly love it as much as they secretly love you! 115. Conversation Crayons – Oh my goodness, we’re loving this creative take on the traditional conversation candy hearts. It’s conversation heart crayons!! 116. Necklace – So she’ll never forget how much she means to you, give her a necklace that fits right inside of your own necklace. These would be especially perfect to wear on tough days when you might be apart. 117. Book – Reading together is such a special time and it’s the perfect time to let your girl know how much you love her – snuggle up close! 118. Journal – Give her a place to open up and ‘talk’ to you whenever she wants. Feeling listened to is one of the best ways to feel loved. 119. Key Chain – Personalize a key chain for her to attach to her backpack and she’ll always be reminded how much you love her. 120. Raglan ‘Loved’ Tee – The littlest fashionistas will love showing off her new outfit and will be proud to feel so loved on Valentine’s Day! Sad you’re done scrolling? Well, great news: we have a practically endless supply of Valentine’s Day ideas (it’s what we do)! 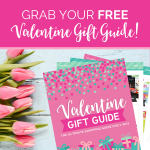 To make the day really special, browse our Most Popular Valentine’s Day Ideas, Top Valentine’s Day Date Ideas, Romantic Valentine’s Date Ideas, and if you’re in a crunch try some of these Last Minute Valentine’s Day Ideas! 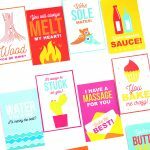 Or if you’re in the mood for creating the absolute PERFECT Valentine’s Day without all the work, you’d probably love our Ultimate Valentine’s Day Printable Pack! 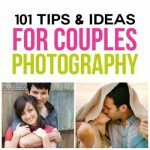 And for more than just a bonus section of ideas for the kiddos we’ve got 100 Kids Valentine’s Day Ideas. Sheesh! No more excuses! This is everything we could possibly need and more! THANK YOU, Meg!